The HealthMate Standard HM400 is MADE IN THE USA and includes a 5 year HEPA filter. These are our top selling air purifiers for cleaning rooms and open areas in homes and office spaces. Most customers end up purchasing two of these HEPA air purifiers. One for their bedroom(s) and one for their family room to keep both main living spaces dust, allergy and asthma free! For extra chemical outgassing removal in new homes or living spaces with new carpet and furnishings see our HealthMate Plus model! HM-400 Austin Air HealthMate Standard air purifiers, also known as Austin Air HealthMate Standard HEPA air cleaner. The units have been on the market since 1989. These units include a 5 year HEPA filter. Austin Air HEPA air purifiers are very user friendly because they include a permanent pre-filter that can be vacuumed off from the outside of the unit. So that it does not require replacement until the entire HEPA filter needs replacing. The unit also includes a new pre-filter. Its a wonderful HEPA air purifier for general use in cleaning the indoor air. So its best use is in bedrooms, living room areas and in home office spaces. The HealthMate Standard can clean the air in an average bedroom size space up to 13 time per hour. The factory says they can effectively clean open areas up to 1500 square feet. However we honestly feel that effective cleaning in open areas of 1000 square feet is more accurate. Quiet yet powerful, this units 3 speed motor can pull air through it with up to 400 CFM of air movement. 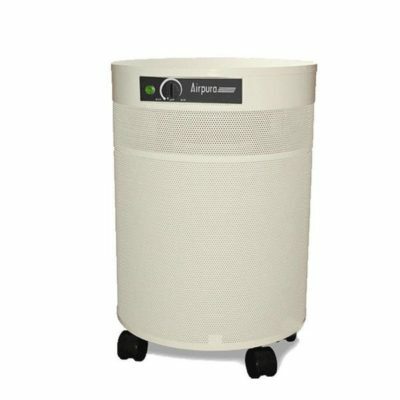 Austin Air HealthMate HEPA air purifiers have a quality 99.97 percent efficient down to 0.3 microns of particle size. 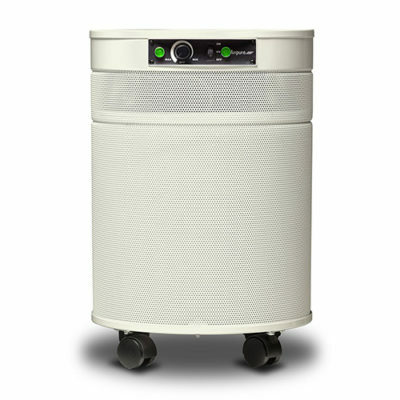 Its HEPA filter drum includes 15 pounds of activated carbon and natural zeolite blend. 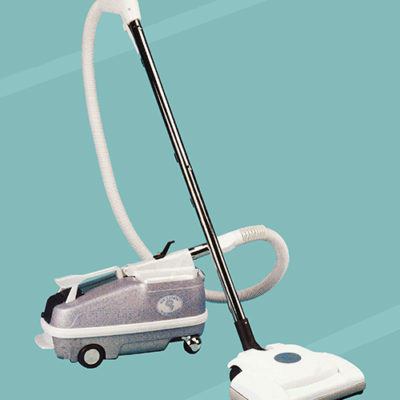 This cleans the air of dust, allergens, pet dander, smoke, odors, out-gassing chemicals, home furnishings, paint and other sources. 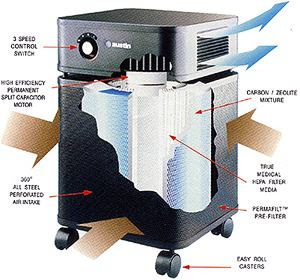 The filters last up to 5 years before the air cleaners HEPA filter drum needs replacing NOTE: If the activated carbon-zeolite blend in the filter drum is over exposed to a high volume of out-gassing chemicals or odors the carbon-zeolite absorption life part of the filter will be reduced. However, the dust and allergen removal ability will continue for up to 5 years before replacement will be necessary. 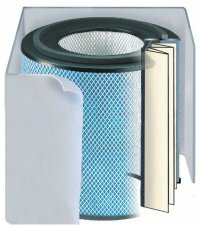 The next 5 years of HEPA filter cost based of 5 years of service on the Austin Air HM400 HealthMate Standard Unit is only aprox $43.00 per year and yearly electrical consumption running each unit 24 hours per day is only aprox $35.00 per year We have customers that have Austin Air HealthMate HEPA air purifiers still operating after 26 years of quality service. We know this to be true because they continue to purchase 5 year replacement filters from us. Most customers end up purchasing two or three of these units. One for the bedroom(s) and one for the family room and or home office space to keep the main living spaces dust, allergy and asthma free! The one big thing that sets the HM-400 Austin Air HealthMate Standard air purifiers aside from all others is the extremely easy maintenance! So this unit is perfect for people that are mechanically challenged or just plain lazy! Its because the only maintenance the HealthMate requires is to vacuum off the outside metal case of the unit twice a month to keep the permanent pre-filter clean! When its time to change out the one piece HEPA filter/carbon-zeolite drum once every approx. 5 years you just put the unit on its side and remove the 4 screws holding the filter drum in the case. Stand the unit back up, then you lift the metal case off of the filter drum to remove it and replace the filter with a new one! This takes about 3-5 minutes and it’s so easy a young kid can do it with no problems! The Austin HealthMate HEPA air purifiers will do a tremendous job of cleaning the air in your home or office by filtering and removing the dust and the many different allergens from your air. These allergens include dust, dust mite allergen pollen, animal, cat and dog dander, organic and chemical odors as well as formaldehyde and many other dangerous chemicals that out-gas into the indoor air. So you and your family can breathe. Cigar, cigarette and marijuana smokers that do not desire air purifiers that create ozone truly appreciate the HealthMate Standard to control smoke and odors! These HEPA air purifiers are made from steel. They are portable and are on sturdy caster wheels for easy movement. 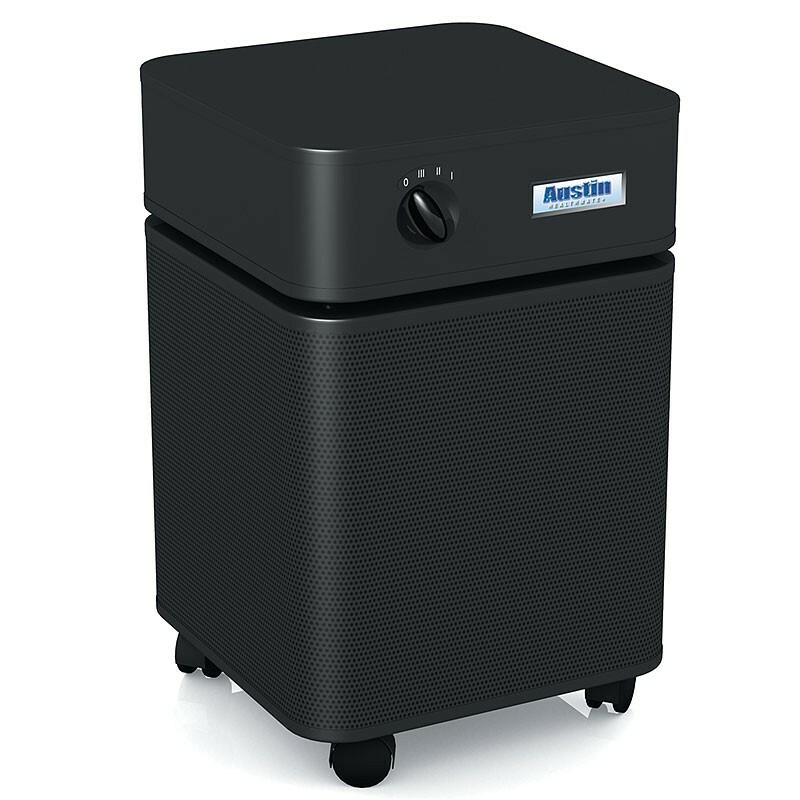 HM-400 Austin Air HealthMate Standard air purifiers are factory guaranteed for 5 full years while covering all non wear parts and labor. The HEPA filter is pro-rated for home use. Your family or co-workers will enjoy these quality allergy and asthma HEPA air purifiers to help keep your home or office space dust, allergy and asthma free! Five Year Factory Warranty: Always shipped to you fresh from the factory! We Are The Largest Seller Of HM-400 Austin Air HealthMate Standard HEPA Air Purifiers And Allergy Products In The USA & Canada Since 1989! The only difference between the HM-400 Austin Air HealthMate Standard HEPA air purifier and the HM450 HealthMate Plus model. The HM450 models have Potassium Iodide added into the 15 pound carbon-zeolite blend. This aids in removing more out gassing chemicals from new carpeting, pesticides, various household furnishings and materials. Which can cause allergy, asthma and other respiratory problems. 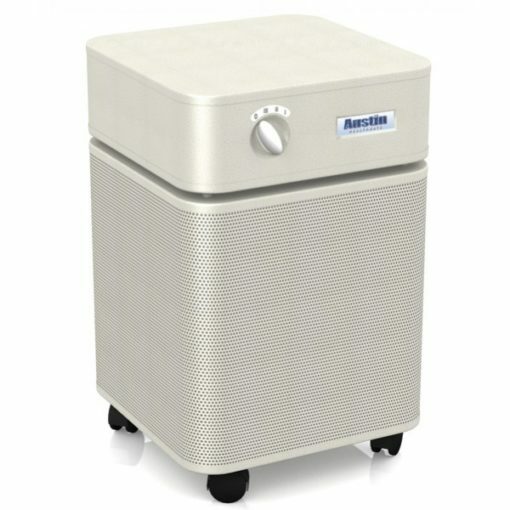 The difference and increase in price for the HM450 HealthMate Plus air purifiers model unit is for the filter drum. So the Drum in the Hm450 unit adds a cost of $110.00.